CloudCheckr can alert you when any number of critical events occur within your Azure deployment. These alerts, which can be delivered via email, SNS topic, or PagerDuty are also logged within your CloudCheckr account to be reviewed at any time. 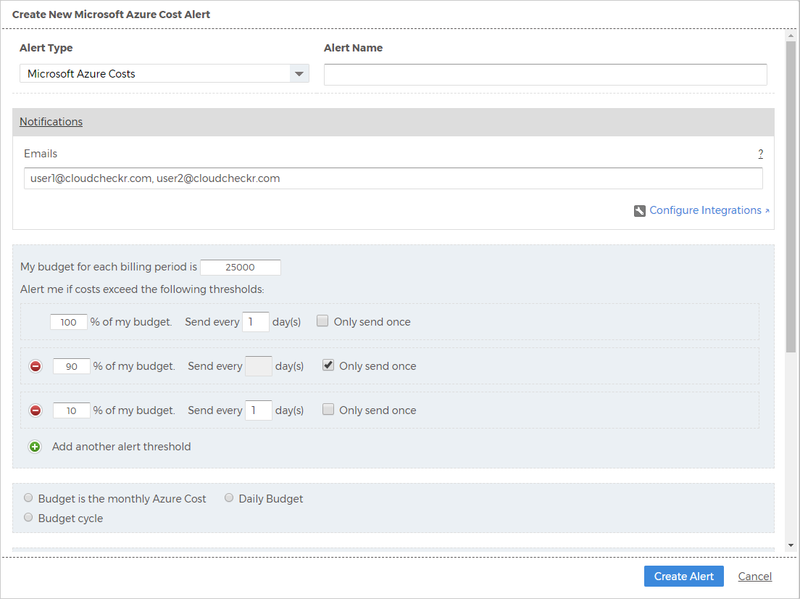 With CloudCheckr, you can set up cost and security alerts that cover important scenarios for your Azure account. CloudCheckr's alerts can be found within their own section of the report navigation within each account. From there, you can choose to create, modify, and delete Cost and Security alerts. Security alerts are only visible in individual subscriptions. CloudCheckr monitors your Azure deployment and can alert you when certain conditions are met. 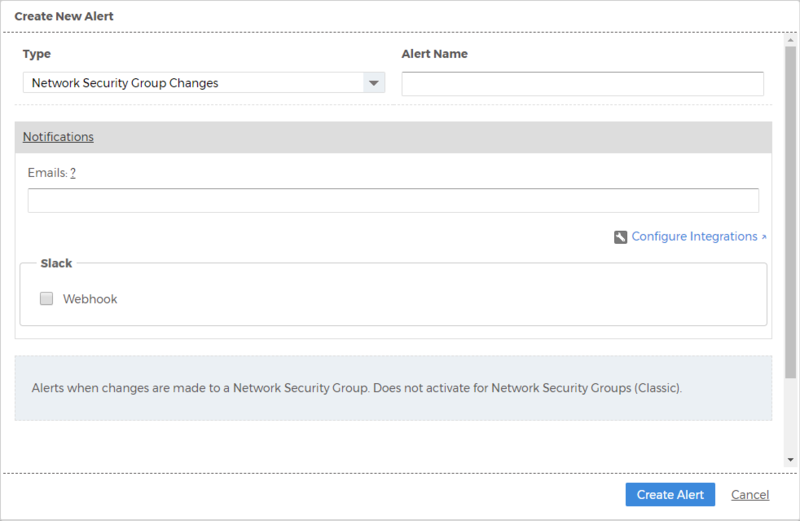 Currently, CloudCheckr can alert you when there are new publicly available accessible resources or security group changes. When an alert is triggered, an email is sent and a result is logged within your account.